At Stoke Row, we are committed to an ethos of ‘growth mindset’ among pupils and staff where children understand that their talents and abilities can be developed through effort, good teaching and perseverance as opposed to a ‘fixed mindset’ whereby children believe their basic abilities, their intelligence, their talents, are just fixed traits. In line with this, we have also been focusing on developing children’s independent learning skills and at the start of each academic year we have our first week purely based upon ‘learning to learn’ activities to ensure all pupils are confident in their learning abilities. At Stoke Row our curriculum is designed to develop the whole child and cater for the needs of all styles of learning. Each of our topics are launched by either a trip outside school or a visitor coming into the classroom. The children are encouraged to contribute to their own learning as each topic starts with the opportunity to share their previous knowledge and develop questions that they would like to explore during their learning. Individual subjects are linked to the topic studied so children are able to make connections and develop a deep understand of the overall topic. Every opportunity is taken to link Maths and Literacy into other subjects and make the children’s learning experience as real as possible. Whilst Literacy and Maths are taught every morning, a range of subjects are taught in the afternoons including: Geography, History, Science, Computing, Art and Design, Design and Technology (DT), Religious Education (RE), Physical Education (PE) and Music. French is also taught throughout the school from Foundation Stage to Year 6. From September 2016 our topics have been the same across the whole school and stretch across two terms (eg. September to December) to allow for more in-depth learning, plus our numerous theme days and weeks throughout the year. Terms 1 +2 – Let’s Rock: If I dug a hole, what would I find? Terms 3+4 – Good to be me: What makes us human? Terms 5+6 – Raring to go: What does it mean to be fit and healthy? The main phonics scheme used in school is Letters and Sounds supported by Jolly Phonics, while the main reading scheme is Bug Club. R.E. is taught weekly following the Oxfordshire syllabus providing the children with an understanding of a range of religions. PHSE (Personal, Social and Health Education) and Citizenship are taught in dedicated days at the start of each term following a programme of study which allows the children to learn about themselves and the relationships they develop with those around them. Sport at Stoke Row is highly valued as the basis for developing children’s understanding of a healthy lifestyle and promoting team building skills and camaraderie. 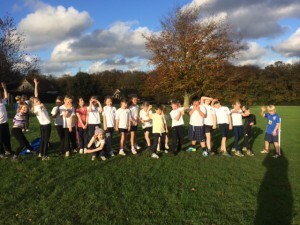 Pupils enjoy two P.E. sessions per week and experience a variety of activities including football, tag rugby, netball, rounders, cricket, tennis, cross country running, athletics, swimming, gymnastics and dance. When the opportunity arises these lessons are supported by specialist sports coaches such as London Wasps. Children are also encouraged to take part in regular sports competitions across our partnership Primary Schools such as: football, tag rugby, netball, tennis, swimming, cross country, gymnastics, dance and cricket. In addition to the children’s regular learning throughout the year, we also have specialist weeks or days dedicated to specific subject areas. These include a Maths week, Science day, Safer Internet day and other days which are dedicated to inspiring the children’s learning through world events. We believe it is important to inspire children’s learning inside and outside the classroom environment. Each class goes on several trips linked to their learning throughout the academic year. We have our own minibus which allows us to attend easily lots of sporting activities and take children on local trips. Year 5 – one night overnight stay at Path Hill in Whitchurch on Thames. Year 6 – a week’s residential trip to Kilvrough Centre in Wales. In addition to all of the above we offer specialist music lessons including clarinet, cornet, trumpet and guitar and wide variety of extra-curricular activities throughout the year. The school has a number of clubs, run by both staff, outside organisations and parents. These change from time to time and currently include: choir, netball club, running club, art club, rollerski club, Relax kids club, gymnastics and football club. Homework for all year groups is set weekly. As children approach secondary school we increase their homework to help prepare them for the next stage in their school career. All children are encouraged to read daily and we ask parents and carers to complete reading diaries, but it is important the quantity is appropriate for each child and may be a page or a whole short book. 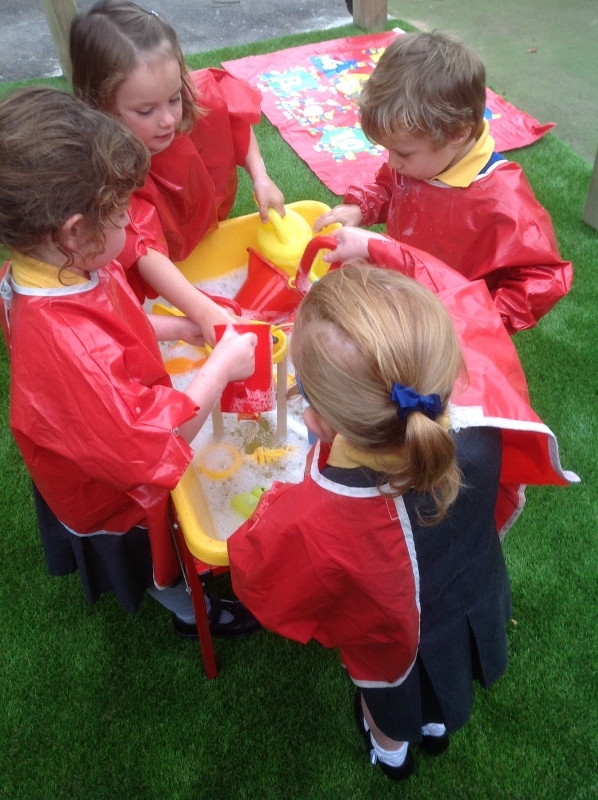 During their year in reception Class our children follow the Early Years Foundation Stage Curriculum and are assessed throughout the year using the Foundation Stage Profile. This is based on ongoing observation and assessment in the three prime and four specific areas of learning plus three characteristics of effective learning. Focusing on the characteristics of effective learning allows us to instil independent learning skills and perseverance at the beginning of our children’s learning journey, in line with our focus on growth mindset. During their first term in school, children develop their social skills and an understanding of the expectations for good behaviour. They become involved in a wide range of practical activities, both indoor and outdoor. During this time the children also start to learn early mathematical and literacy skills. Reading skills are introduced, including book knowledge, letter sounds and sight vocabulary. Once confidence in letter sounds is established, the children are given books and a reading record to take home. Below you will find the link to Department for Education (DfE) with all Primary Curriculum Subjects taught at Stoke Row School, which will give you better understanding of the National Curriculum for England at Key Stages 1 & 2. It includes programmes of study and attainment target level descriptions for all Key Stage 1 & 2 subjects.